Current project areas I've been experimenting with such as: cosmic ray detectors and x ray crystallography have relied heavily on Geiger–Müller tubes or photomultipliers and Scintillators as the detector. The issue with using these deectors are a limited life and high voltages between 300 to 1600V DC which must also be low noise and regulated. Further without going into detail here, there are significant cost issues when using new components and even more so when needing to measure the energy level of the radiation being detected. Solid state devices particularly Si Pin Photodiodes are capable of measuring both gamma rays and their energy level but also come with their own issues and compromises such as: more complexity, noise, cost and small aperture size. But also have the benefit of low voltage, power and greater longevity. The aim of this project is to develop a relatively cost effective detector that can measure gamma rays and also offer some usable energy resolution. There are low-cost of-the-shelf Pin Photo diodes such as the BPW34F which have been featured in many DIY projects over the years. However these require significant amplification, very noisy and very susceptible to RFI. 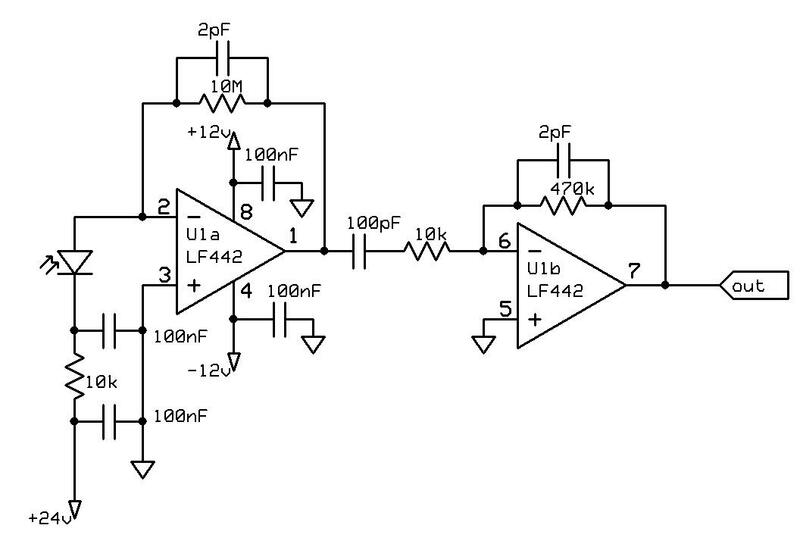 So can only be practically used as a simple gamma counter, with no energy resolution and has very low sensitivity having a very small aperture. The check source I'm using in these experiments is on the side of an old CD V-700 Geiger Counter which uses an isotope of radium 226Ra and has a half-life of 1,600 years. During decay it mostly emits alpha particles with an energy of 4.7843 MeV followed by 4.601 MeV which are not detectable by a solid-state detector. Fortunately the decay products go on to futher decay and emit a gamma ray at an energy of 186 keV which can be detected.